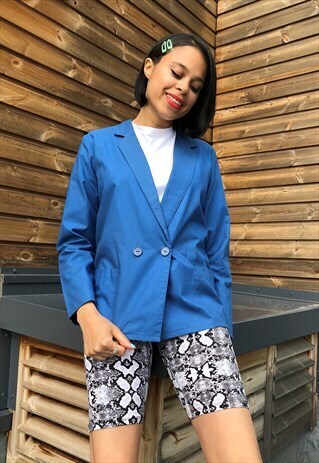 A vintage blue cotton lightweight blazer. Double breasted with two pockets on the front. UK size small, shown here on a UK size 10.